Welcome to Pinon Estates! This is our first of many homes to come in 4 cul-de-sacs in the gorgeous Pinon Hills Community...where the Desert meets the Mountains! 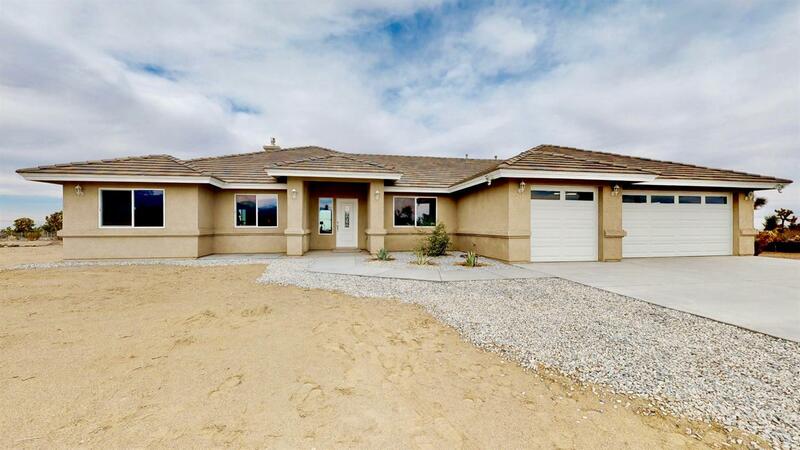 Our exclusive home has been built by Covington Construction, one of the most sought after, premier builders in the High Desert! Our gorgeous open-concept design is beautiful and modern. You will fall in love the minute you enter this home! This home is built for entertaining with a gourmet kitchen, granite counters and everything a cook would dream of! There is a long counter with space to seat at least 4 people comfortably and a separate dining area with bay windows. The split bedroom floorplan has a spacious Master's Suite with a gorgeous bathroom at one end of the home for privacy and three additional bedrooms and another beautiful full bath are on the other end of the home. There is an additional room one could use as an office or a cozy den. The Master Bath room has an enormous walk-in closet, a beautiful custom-tiled shower and a beautiful garden tub. You will absolutely LOVE the tile flooring. Bedrooms and living areas are beautifully carpeted, while halls and walkways, kitchen, dining, bathrooms and laundry are tiled to look like rustic wood flooring. Our patio has a built-in barbecue and is stucco'd with recessed lighting and is perfect for having a dinner party. Our garage is completely finished and has two spaces for your vehicles and an additional area for your exercise equipment or motorcycles. Directions: Take Sheep Creek Or Oasis Road To Duncan/Bear Valley. Go South On Pionero, 1/2 Mile To Caserta Court. Do Not Use Gps!